This week was the anniversary of the very first human being to step out of a spacecraft and into the cosmos. 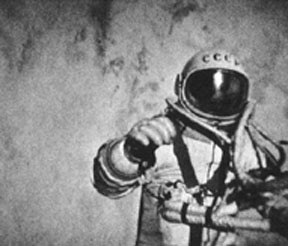 Cosmonaut Alexei Leonov spent 10 minutes outside of his Voskhod 2 spacecraft on March 18, 1965, and this week marked the 45th anniversary of the event. 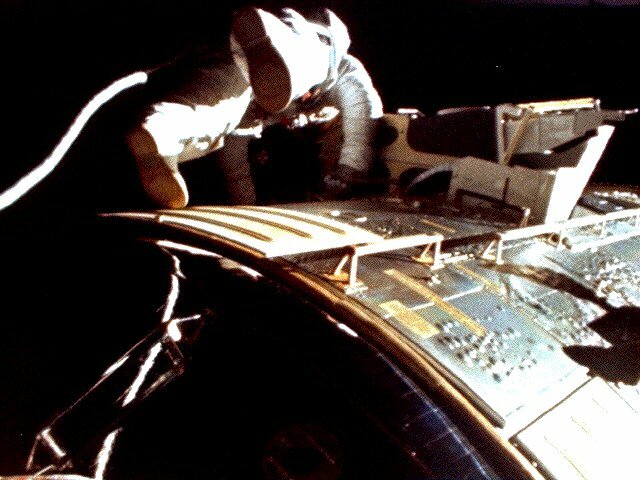 It is amazing to see how far we've come in 45 years -- better airlocks, spacesuits, and astronauts/cosmonauts regularly venturing out into the vacuum of space to perform work on spacecraft and the International Space Station. To celebrate, this Friday Fun Day is dedicated to spacewalking. 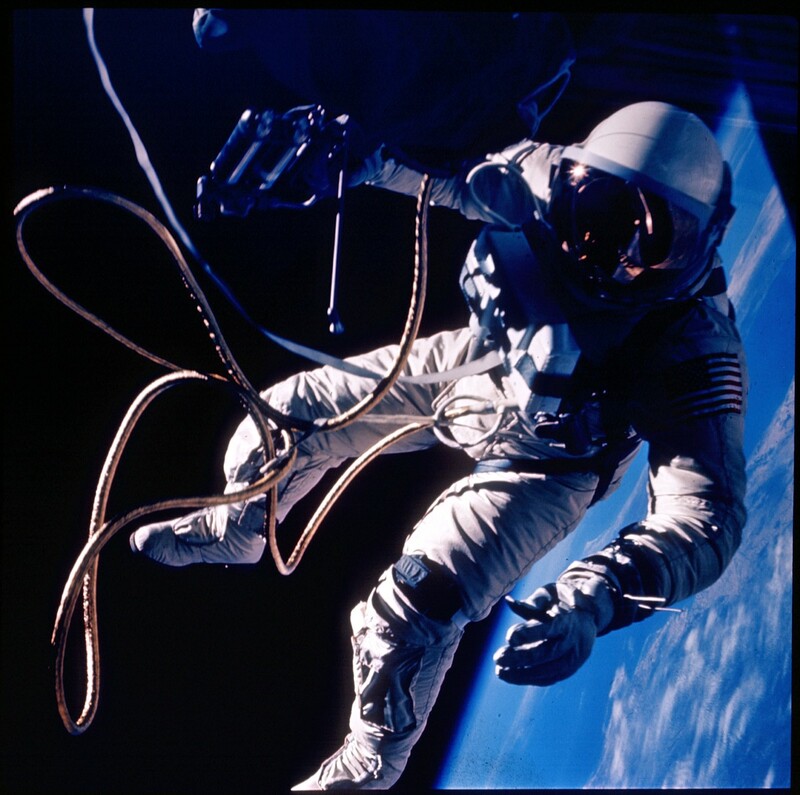 Send in your favorite spacewalking photos (with the spacewalker's name and mission number, if you know them!) and we'll create a photo collage in this blog post. 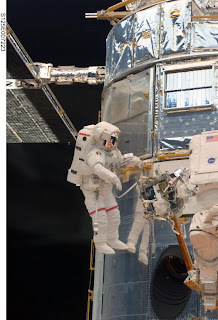 From @Quarkspin: Hubble repair by John Grunsfield on STS-125. Breathtaking images from this mission! Send us your favorites via Twitter, Facebook, or post the links here in the comments!